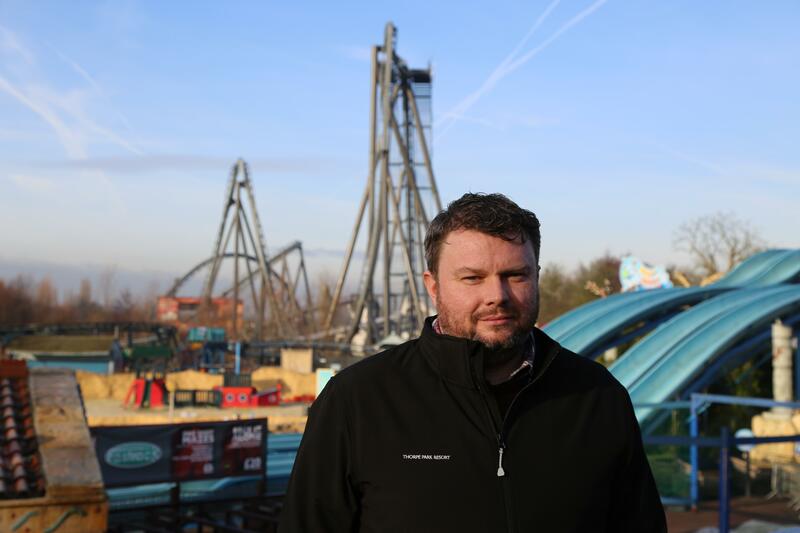 Surrey theme park, THORPE PARK Resort, has appointed Dominic Jones as Divisional Director. Dominic will be responsible for continuing to develop and grow one of the UK’s leading attractions, making guest experiences even more amazing and overseeing major park development plans. A long time senior manager with THORPE PARK Resort owner Merlin Entertainments Jones was previously Head of Midway Attractions in Europe. He was responsible for iconic attractions such as SEA LIFE, Madame Tussaud’s and Dungeons in Europe as well as Park Director of Welsh theme park Oakwood. Alongside this he also worked at Walt Disney, held senior positions with Virgin Atlantic and has experience of the leisure industry in Africa, Asia, Australia, India, Middle East and Europe. He therefore brings a wealth of global experience to his new post. Previously Head of Merlin Midway Attractions, Jones said: "THORPE PARK Resort is a stunning park and very much a leader when it comes to visitor attractions in the UK. I am thrilled to be a part of the great team that makes the Resort the success it is. My focus will be to continue to provide our guests with the most amazing experiences and by listening to our visitors and our staff, continue to improve the whole Resort and be part of implementing the exciting plans we have for the future. Above all, everything we do has to be the very best – we are THORPE PARK Resort after all". THORPE PARK Resort unveiled its new attraction Derren Brown’s Ghost Train in 2016. Following Jones’s appointment in November the experience has been closed for redevelopment to address thrill-seekers’ request for more scares. In 2017, a new destination will be added to the multi-million pound attraction. Further, the new Park Director, who will oversee all elements of the THORPE PARK Resort business including Marketing, Health & Safety and Operations, will be bringing a new and exciting IP to the theme park’s infamous FRIGHT NIGHTS Halloween event.